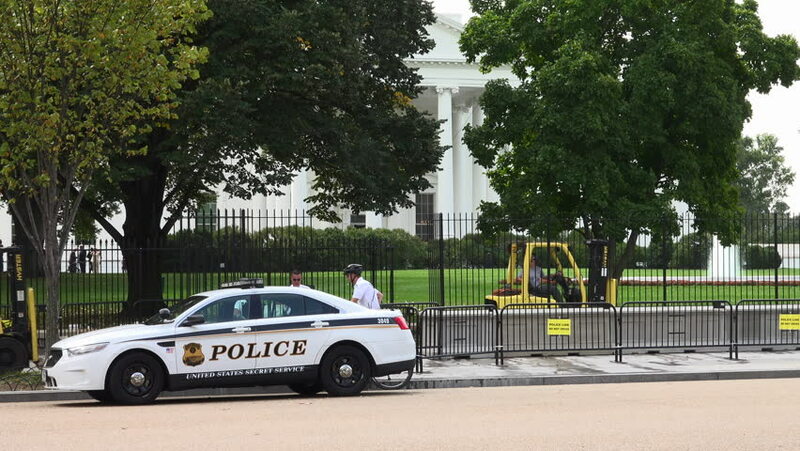 WASHINGTON, DC - OCT. 2, 2014: Forklifts move sections of White House fence, removed for repair or replacement; temporary taller fence in front. Extra Secret Service in response to security breach. hd00:30Omsk, Russia - May 26, 2015: Cathedral Square. Travel around the city of Omsk.